Creative people can be hard to buy for because they tend to know what they like… and what they don’t! We’ve asked around the studio and have some some ideas for you for those designers, or creative people in your life – whatever their age! Creative people tend to be left-handed much more often than not. 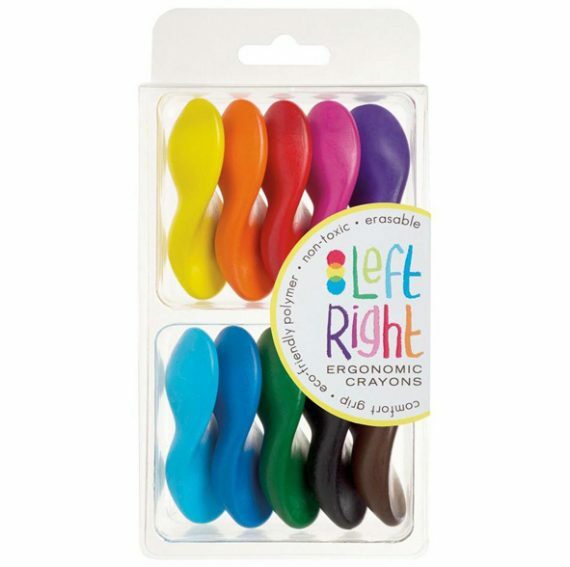 These crayons would be great for any little budding designers as they encourage you to hold the crayon correctly, wether you’re left or right-handed. Sometimes it’s hard for us little lefties to be taught to hold a pen properly so these look fantastic. And look at the great colour range! There’s something magical about seeing something familiar (like a biscuit), much bigger than usual and masquerading as a cushion! 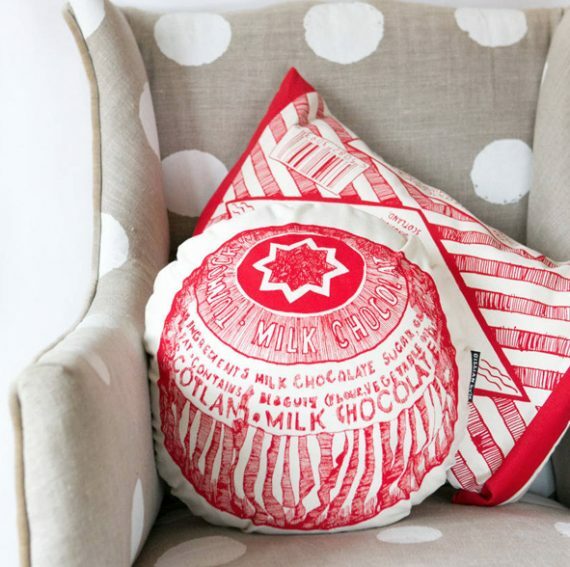 We love a Tunnock’s teacake here and the style of this drawing to make them into cushions is just stunning. 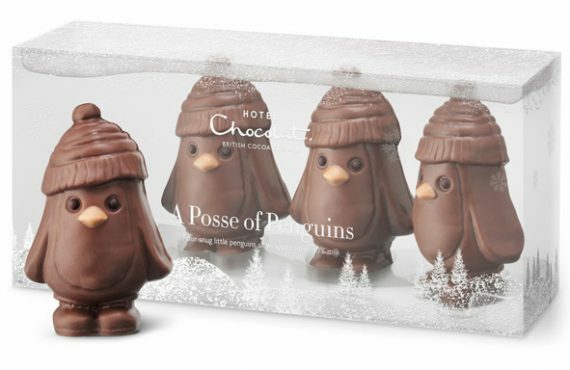 These would make any creative, chocolate loving person smile! We love these for exactly the same reason as the cushion above. They’re socks. 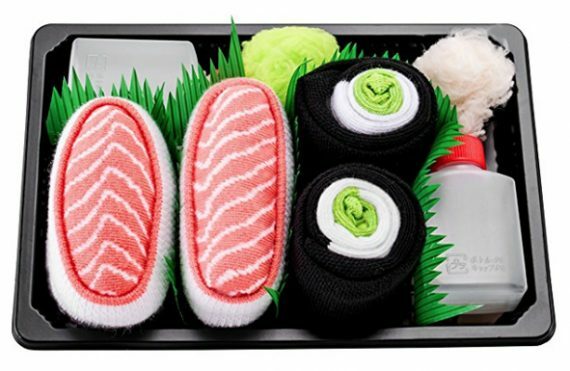 But they look like sushi! Just genius. I don’t know about you but our bags are full of Tupperware, water bottles and coffee cups. No disposable containers for us please. However it does mean you often need quite a big bag to carry everything round with you. 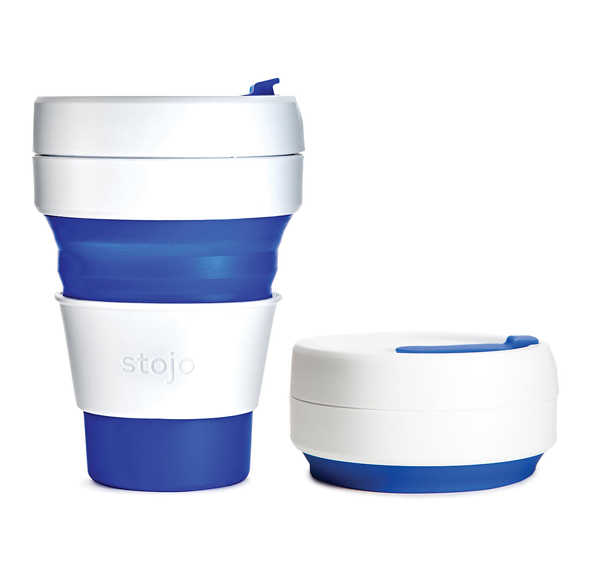 This cup is fab because it collapses down small enough to go into your pocket when you’re done! Most people don’t carry a camera around any more because their phone takes such good photos. But if you want to take a wide angle or close up image then you might struggle. Designers take prolific photos in my experience, anything can inspire us! 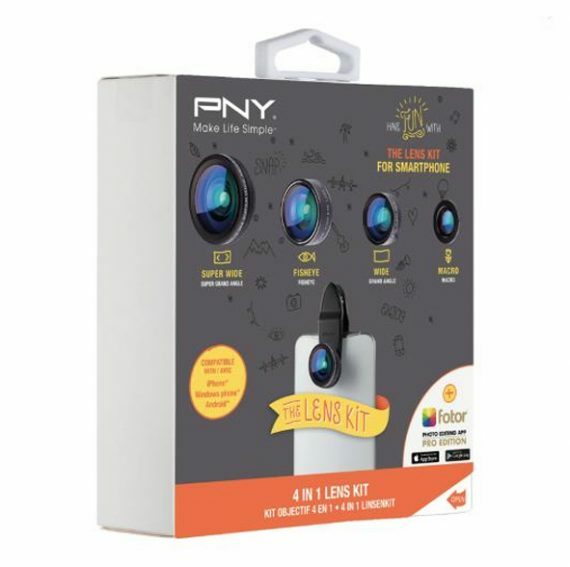 This clever set of lenses just clip on top of your phone’s camera lens and includes a super wide angle, wide angle, fish eye, and macro all in a handy pouch. You’ve got to get a book at Christmas, it’s the law. This one is really interesting. Colour is very important to designers and we think about it a lot. 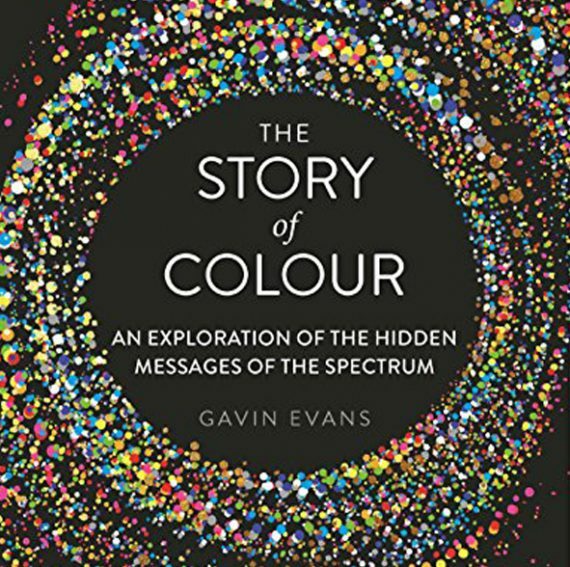 This book explains where the meanings that we attach to colours come from, and how they differ from culture to culture. Fascinating. Read some sample pages here. 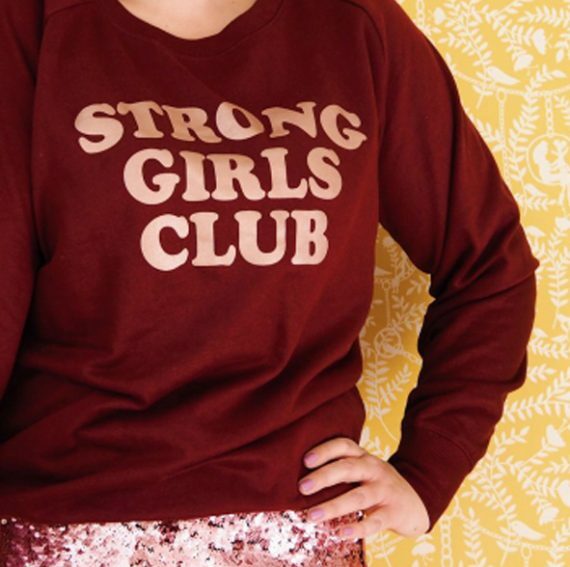 Beautiful colours, great statement, warm jumper for the cold weather, it’s a winning combination! I’ve followed Mutha Hood for ages and her ethics and attention to detail make this small brand one to watch. Lots of other great branded goodies on her site too. This might be a huge overestimate, but most designers I know love to read. It might be because we can visualise well so we tend to have good imaginations (a blessing and a curse, believe me!). Or maybe just because its a nice break for your eyes after spending a lot of time looking at a big screen. 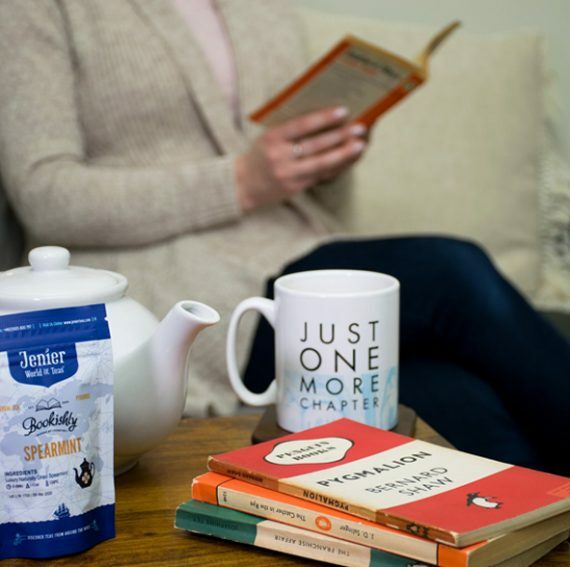 They also love tea and coffee, our kettle is rarely cold. This could be the perfect gift for a lot of people. Plus the books that are sent are vintage so have beautiful classic covers that designers will love. They do a coffee version too if that’s more your thing (like me). We needed to end on something completely fabulous and over the top! 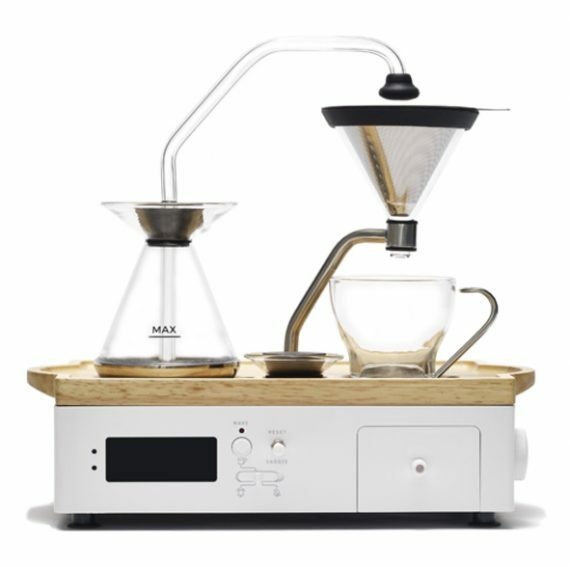 This coffee and tea alarm clock is just beautiful. Go and have a look at the photos on their website just to marvel at the attention to detail. The way the spoon fits perfectly in the drawer, the glass and cork, the integrated wooden tray, the tea and coffee storage and the reminders of school chemistry lessons *swoon*. If you’re on the lookout for more gift guides there are loads but we especially like this one from The Pool, the frugality (they’re colour coded!) or Betty Magazine.